For the first time in her career, KO Asung took part in a thriller. In her first mystery thriller, Office, KO plays a key character, the intern LEE Mi-rye, in a film which depicts a complex serial murder case. The film begins with the slaying of a family, which then develops into a series of murders within a company office. Film fans are excited about what new shades KO will show by playing a character that holds the key to solving a murder case. It is also a refreshing change of pace for the starlet, who has typically been consigned to student characters. KO showed a captivating performance in The Host (2006) at the tender age of 15. When most young actors played small and adorable characters, KO played an independent child with a will of iron and a strong sense of responsibility. Consequently, KO grew into an established adult actress more easily while taking on characters such as Hyun-seo in The Host, Ye-shin in A Brand New Life (2009), Yona in Snowpiercer (2013) and Manji in Thread of Lies. Lately, KO is setting herself apart from other Korean actresses in their 20s, by putting a spur to her advancement into Hollywood after striking a deal with a Hollywood agent. 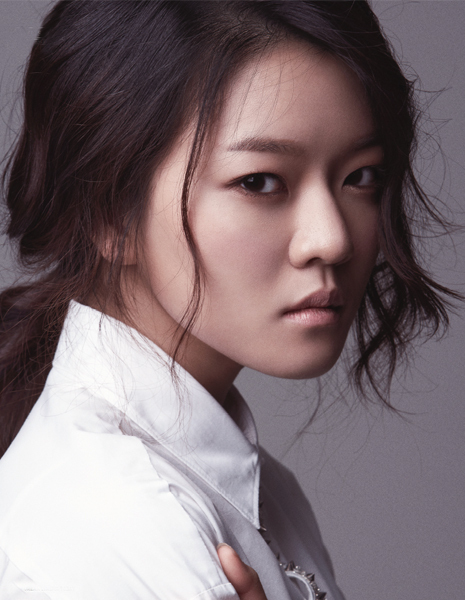 KO has solidified her position as an actress favored by acclaimed directors and as a rising star in Korean cinema with her impressive filmography. “I would like to become an actress who has a sense of duty, while focusing on films one by one,” KO said. This explains why we can look forward to great things from KO who has built a successful career over the last nine years. The Cannes International Film Festival will screen Office . This is your third time in Cannes after The Host was invited to Directors’ Fortnight in 2006 and A Brand New Life took part in the special screening section in 2009. How do you feel? The news was exhilarating for me. Performing in Office was not as hard as those others, but I still had some difficulties. The news makes me happy and delights me as an actress. At Cannes, I will watch the film for the first time. I am waiting for it with a fluttering heart. You acted in a thriller for the first time. What made you choose Office? I like the thriller genre, but when I wanted to try one I became very picky about scripts. But Office completely engrossed me the moment I got my hands on it. The screenplay came across as refreshing, as it broke all of my prejudices about thrillers and serial murder stories. You took on the role of intern LEE Mirye who does not easily mix with the members of her team and seems to keep a secret in Office . To play this role, how did you prepare yourself? Did you receive advice or make any special preparations? There is a model I based the character on. And that person is the youngest member in the marketing team who worked for the film distribution company that acquired Snowpiercer when the film was released. I do not mean that she was a strange person. (laughs) I got the feeling that if I worked in an office, I would be most like her. Thus, when I decided to join the project, I met with her to ask about her company life as much as possible. Do you feel that you have anything in common with Mi-rye, a timid new employee who just took her first step into the ‘real world’? I feel that I look sociable but in fact I am not. I mix well with other people, am very sociable and enjoy being a member of a group, but when I am left out, I become extremely shy. So, sometimes, being invisible is rather comfortable for me. I think that I tried to draw out the feelings that I get when I feel that others are avoiding me. Was it difficult to play the role of Mi-rye since she is a timid character but also has the key to solving the case? I tried to play the role of a girl that does not look so special and someone who doesn't seem to have a big secret, even though in the film she has the key to cracking the case. As she’s a plain Jane who carries a weak presence, I had to think a lot about how to both reveal and hide her emotions. Did you have any difficulties or memorable moments while shooting Office? It was vital and also difficult to follow Mi-rye’s changing sentiments. It would have been easier if we shot the film according to the order of events. But that is not something I could control. So I tried my best to develop and express her emotions in a continuous fashion. Director HONG gave me a big helping hand in this respect. How was working with director HONG, who debuted with this film? It is said that after being immersed into a role, you do not easily get out of it. How were you after completing Office? Most of the time I return to my ordinary life, whilst repeatedly thinking about the latest work until I can slowly let it go. Somehow, this time, I wanted to leave. I felt that I really needed to. So, one day after completing the shoot, I went abroad for four days, spent some time aimlessly and returned. I remember taking part in the party to celebrate the completion of the film on the day of my return. You debuted through The Host in 2006. So, next year, it will be the tenth anniversary of your debut as an actress. I can’t believe it. Time really flies I think. In fact, while I was acting, I had thoughts about quitting from time to time to keep my acting career as a wonderful memory of my childhood days. But after becoming more mature as an adult, I signed a deal with a management agency and starred in a big film, Snowpiercer. This process led me to have a sense of duty. Now I want to steadily act in the future. Since you began your career as a child actor, you have mainly played important catalystlike roles or independent parts rather than playing the younger version of a protagonist. Did this help you grow into an adult actor? I did not choose to do so on purpose. Looking back, I have steadily played these kinds of roles. When I was a child actor, I did not have many works to choose from. But I was lucky and was able to participate in some good films. Even though characters that you have played are good young girls, a common denominator among them is that they are strong. Are you attracted to characters that look gentle but are tough inside? I like well-rounded characters as actors generally do. When reading screenplays, I prefer to play characters that come across as naïve and good at first, but a twist to the character revealing their strong side really attracts me. I also like characters that look tough on the outside, but are gentle inside. A good example is Manji in Thread of Lies who is mean and cold but is very weak mentally. Heard It through the Grapevine (on SBS TV) is gaining popularity these days. Your performance and fashion have become the talk of the town. You starred in a TV drama after a long hiatus. How do you feel? I am enjoying acting in the series. At first, I felt nervous about appearing in a network TV drama. But now, I don’t feel that way. First, the script is fantastic. Reading a new screenplay is like reading the next volume of a very enjoyable serialized novel. Moreover, playing a character in the TV drama that comes from it makes me happy. Excellent actors appear in the series and it is fun to rehearse with them in the waiting room. Although there is a clear gap between dramas and films, working with director AHN Panseok should not be too different from other film shoots. How is it? I really enjoy working with director AHN. So do all the other actors in Heard It Through the Grapevine. I feel that I’ve entered a new world. And this new world is neither a drama nor a film. AHN made me look to a new approach to acting while I was adapting myself to the director’s work system. I constantly hit a wall, and every time, I barely crawled out of it. This repetitive process is enjoyable, but it is regrettable that we are on a tight schedule unlike film projects. “KO’s acting is not a typical style that can be learned at acting schools,” said director AHN about your acting. What do you think about his comment? I felt ashamed as I felt that director AHN found out about my stubborn nature. Actors must show acting that befits and adapts to various works, but I did not. The director said that the first time we meet. At that time, I was tremendously moved. I thought that the director offered me the role due to my preexisting image as a stately and obstinate person. But I found out that the director saw nearly all of my past films and TV dramas. I was almost moved to tears when he said that my acting style was not wrong, and that I had acted well and he and I could hit it off. Recently, many people feel that actress KO Asung is a friendly face. Do you feel that people’s reception towards your image has changed over time? Yes, I feel it. I feel that people have become friendlier. In that respect, I feel that viewers are closer to me as well. Parodies and sketches based on these TV dramas created by viewers have made me laugh. You starred in a new film by director HONG Sangsoo. HONG has a different work style. How was his style different from that of director BONG Joon-ho and LEE Joon-ik? I shot a film with director HONG Sangsoo a long time ago. In fact, even now, I do not know what I did. Actors who worked with HONG Sangsoo ahead of me told me that I would be able to know it after watching the completed film. That was an eye-opener. I acted without a clear intention, not knowing what would happen. I am very curious about what the completed film will be like. In fact, I cannot compare directors’ different work systems. This is because I tend to adjust myself to a director’s style, then, after finishing the work, I completely reset myself to follow the next director’s system. You have many films waiting for release such as Office, The Beauty Inside. Obba Saeng-gak (working title) and the HONG Sangsoo film. In previous years, it seemed like you were careful in choosing projects and starred in fewer works. Could this mean that you have changed? Since last year, I have become very busy by chance. I did not intend this. I think it happened naturally as I was offered interesting roles in many good films. I also found out the joy of steadily starring in films one after another. 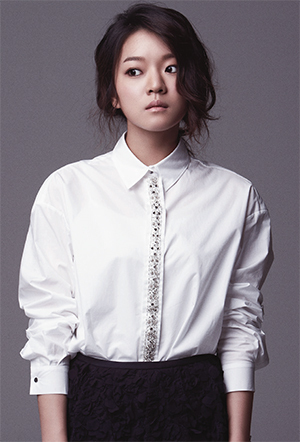 Many see you as one of the leaders of the next generation of actresses in Korean cinema. As much as it is an honor, you must feel a bit of pressure. As the lead actress in the Office, how do you want foreign audiences in Cannes and Korean audiences waiting for the release of the film to watch the film? I have not watched it yet but I believe that it will be a unique thriller. Director HONG Won-chan and actors such as KIM Eui-sung, PARK Sung-woong, BAE Sung-woo, LEE Chae-eun, RYU Hyun-kyung, LEE Chae-young, PARK Jung-min and SON Su-hyun put their utmost efforts into making the film while discussing how to make it better. I hope that audiences will have high expectations for the film.